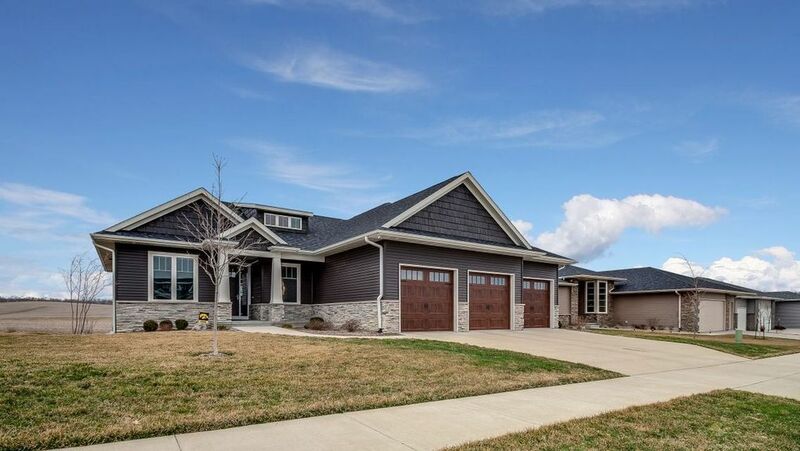 Tremendous opportunity to customize this home to be built (photos of a similar home) with all the quality and latest designs and finishes you have come to expect from H&H Home Builders! Located on over an acre, this prime lot just north of Liberty High School in the Scanlon Farms, North Ridge Subdivision offers private and wooded views. This wonderful open concept comes equipped with soaring 11 ft. ceilings; rich wood flooring through the main level; gourmet kitchen featuring a walk-in pantry, premium appliances, shiny granite counters, gorgeous white cabinetry, and glass tile back splash; 2 custom stone fireplaces; large first floor laundry room with great cabinet space and utility sink; mud room with built-in bench/lockers; luxurious master suite; sweeping walkout lower level family and adjacent rec room with 9 ft. ceilings; designer walk behind wet bar; garden room; screened porch and deck built with maintenance free materials; expansive patio; stylish lighting and plumbing fixtures; solid white panel doors; chrome fixtures; great use of built-ins; tremendous window package; lots of unfinished storage space; and super high efficient equipment and building practices including the use of 2 inch rigid closed cell foam under the entire lower level concrete slab! Directions: North Liberty Rd. north of the round about & LHS to Salm Dr.